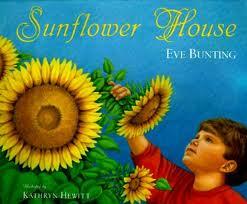 A boy plants a circle of sunflower seeds in the spring and up grows a sunflower house! All summer long he plays in it with his friends, until one day the leaves start to turn brown and the sunflowers droop. Is it the end of the sunflower house forever?